Hi Travis, sure. You can find what you need with an LMS learning management system to implement skills that your staff requires to be successful and productive. The best thing about this is that you can customize the program according to how it would fit your organization. But first you have to choose what type of LMS you want. Open source LMS is often free but you need to have advanced knowledge and be able to code it based on your specifications. There is also no support available so if you need trouble-shooting, you need to look for the answers in internet forums. If you have additional budget, it’s worthwhile to make a comparison of commercial LMS learning management system and opt for this yourself. You can choose from a variety of subscription plans available based on the number of users in your organization. So whether you have 10 or 50 LMS students, there is a plan suited for that, along with 24/7 support, deployment options and a host of other features. Since LMS is an online software application, you can have it installed within your existing IT infrastructure or it can be hosted in the cloud which means all lessons are web based and can be studied by your staff at their own flexible time. You might ask about the lessons that your staff will study on their own pace and how it will be delivered for them. 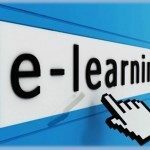 In most cases, the LMS is just a tool for course delivery and to be able to create or customize everything, you need to have a Learning Content Management System or LCMS. It is often available to purchase from third-party sources or you can work with top trainers or designers to craft content that will be unique to what your department needs. Just make sure that your materials are compliant with the standards for SCORM or Shareable Content Object Reference Model. It’s also better that the LMS integrates with the present applications your office is using such as Google Apps , Skype or even social networks like Facebook as you can create groups or events from here. Wish you luck and I hope this short intro on LMS helps!